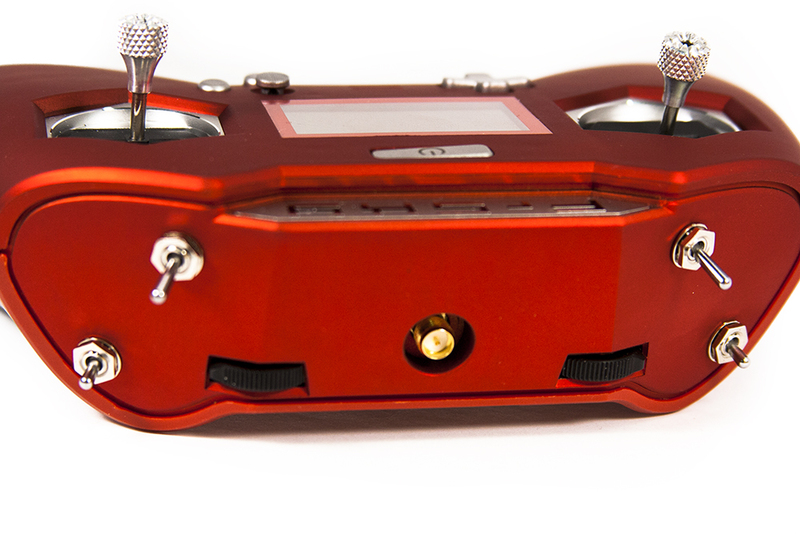 The FrSky X-Lite comes in a hard sided canvas case that is very unassuming. 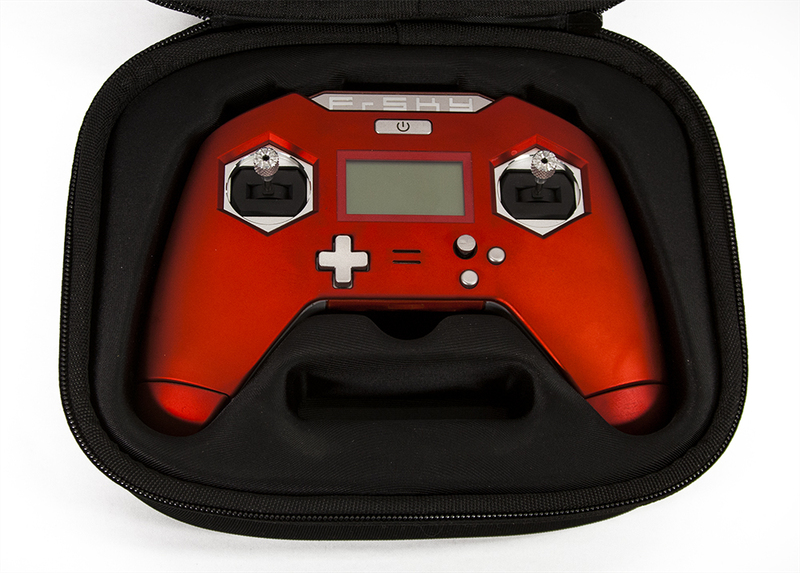 Once opened, the controller sits in a molded form, perfect for keeping the radio controller from damage when in your backpack or out flying. The case also has a mesh retention area in the lid to keep any accessories you wish to put in the case safe as well. The case is very compact and seems to be extremely durable for many years of use! 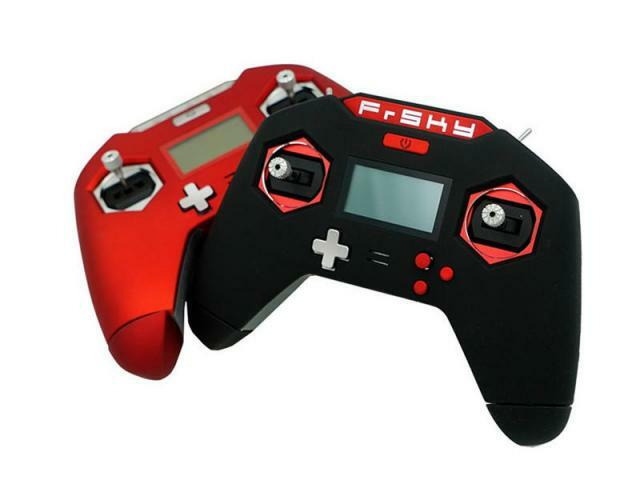 My first thought was how small and compact the FrSky X-Lite truly is. When in my hands, it feels very similar to an X-Box or PlayStation controller. The grip area has rubber pads that ensure a positive engagement with your palm and finger area in a variety of positions. Access to the controls feels natural, with no adjusting needed to reach anything. 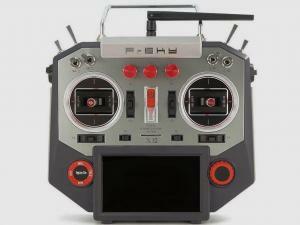 The FrSky X-Lite features two sliders, one momentary switch, one two position switch, and two three position switches. All of these are easily accessible with my index finger like the trigger buttons on a game controller. The gimbals have a unique design to them that makes them customizable to different modes without having to open up the controller. 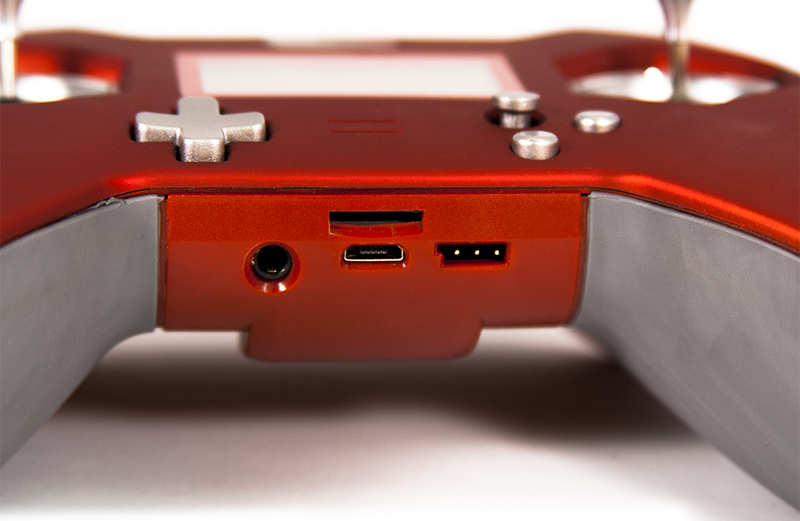 On the back of the controller are four screw hole covers that hide the screws. By adjusting the screws you can change the mode of the radio controller. The screws also will adjust the tension slightly to the gimbals. Upon first testing the gimbals, I did need to make some small adjustments, but it wasn’t far off. The gimbals themselves are M12 Lite driven by hall sensors, which is nice to see in an opening price point controller. The sticks can extend to various lengths, just untighten the stick ends and tighten the set screw. This makes them compatible to pinchers and thumbers alike. 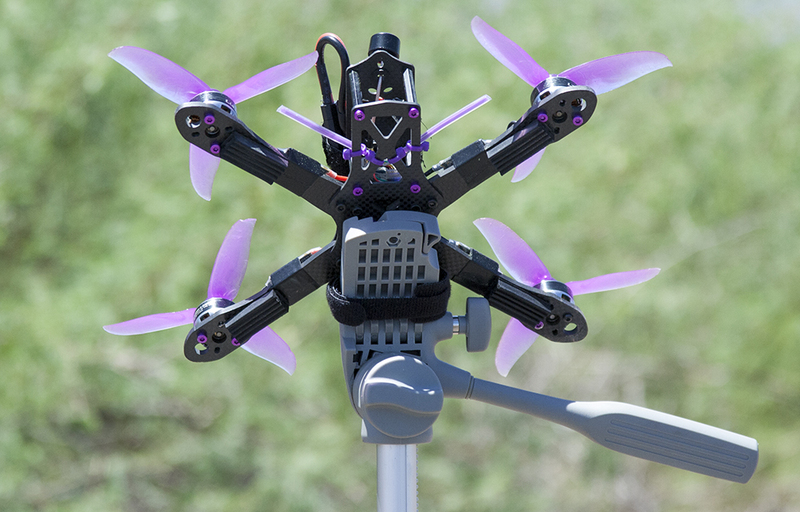 The FrSky X-Lite has two options for antennas, both a standard external mount with an SMA connector and an internal antenna. These are selectable via the OpenTX menu within each individual model, similar to an external RF source on a Taranis. The SMA on the top is recessed within the shell of the radio, making it very specific to the size of connector that you can use for an external antenna. This is one of the few issues I have with the radio controller. I understand that it is recessed to protect the connector; however, the area needs to be slightly larger to be able to utilized different antennas. Also, to avoid damage to the on-board transmitter, connect the external antenna before turning on this function. 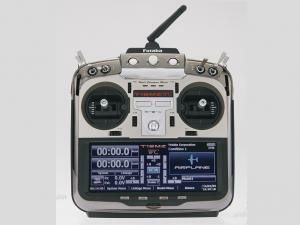 The module bay on the FrSky X-Lite is much smaller and of a different format from any other radio out there. Using a “Lite” format, it looks like the module slides down on to the plastic catches to engage the pins. As of now, the only module available at or shortly after launch will be FrSky’s own R9M Lite module. The R9M system is a long range system released a few months ago. It will operate at 100mw RF power and on 868/915 MHz. There has been some talk of a multi-protocol module as well, but as of now, it is not available. In the absence of the module, the FrSky X-Lite has a cover to protect the module bay. 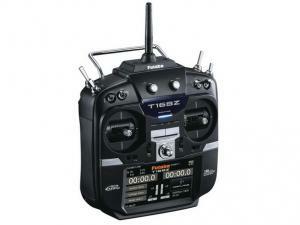 The FrSky X-Lite has really cut down on the number of buttons needed on a radio controller. While some of these decisions work out well, there are others that might not be the best for certain pilots. First up is the multi position button on the right hand side. This gives you the most versatility for interfacing with OpenTX on the radio. Short throws up or down cycle the screen through the different informational screens such as controls view, channel data, or timers. Short throws to the left or right cycle you through different versions these individual screens. Long press opens the reset screen, which allows the pilot to reset timers, telemetry, and flight information. A long throw up opens the statistics page, showing your timers, session time, total time, throttle time, etc. A long press here will reset the session and total times. Long throw down opens the telemetry screens, which you can customize to your liking. To get into the radio setup screens and model screens require a long throw left or right, respectively. In these menus, the multi-position switch acts as both the means to navigate and enter and confirm settings. These screens are similar to what you see on the Taranis. The other two buttons on the right hand serve as a shift button and an exit button. The shift button functions primarily in conjunction with the directional pad on the left hand side. The directional pad is the trim setting adjustment, press up/down to adjust the vertical trim on the left gimbal or left/right to adjust the horizontal trim. Adjusting trim on the right hand gimbal requires the pilot to hold the shift button while pressing the directional pad. 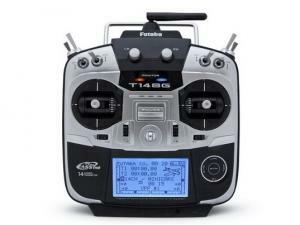 This is where I feel there is a small breakdown in the FrSky X-Lite. 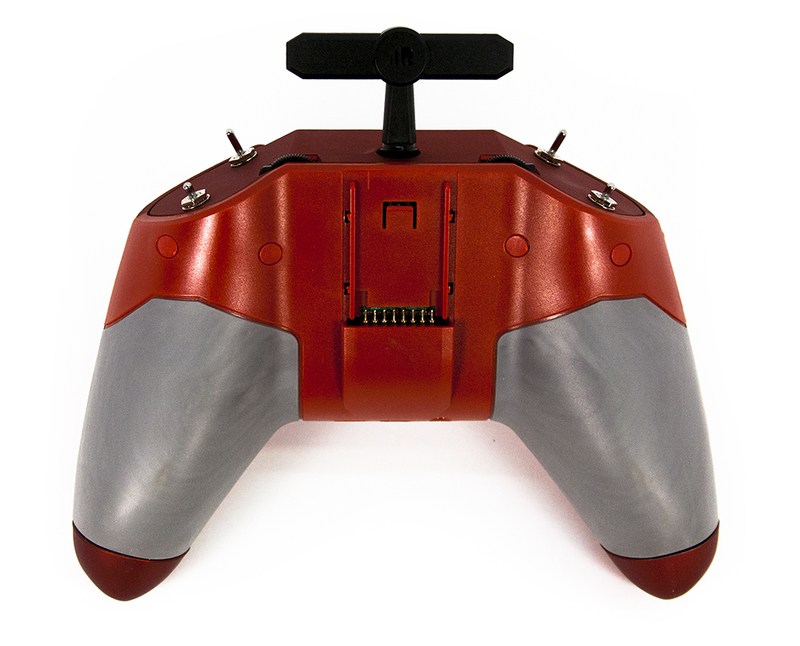 To take your hands off the gimbals to adjust trim makes this controller difficult to use with fixed wing models. 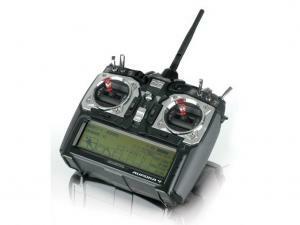 The FrSky X-Lite features a good selection of ports through which to interface with your equipment. 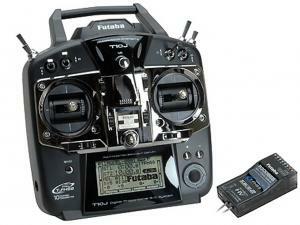 It has a MicroSD card slot to expand model memory, load LUA scripts, or add a voice to your radio controller. There is also a headphone port to listen to your alerts in a noisy environment. FrSky also includes a Smart Port servo connector, which allows firmware upgrades to receivers and other equipment. Last, but not least, is the micro USB connector for connecting the radio controller to your PC. This allows for use in simulators or for conducting OpenTX updates via the OpenTX Companion app. 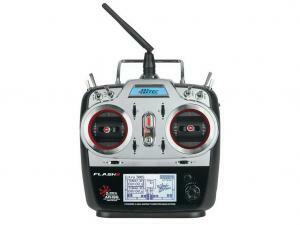 In order to update the FrSky X-Lite firmware, it will need to be in bootloader mode. To do this press down on the directional pad while turning on the radio. You can then update the radio controller via the OpenTX Companion app or by preloading the firmware on to a MicroSD card and load it via the bootloader menu. 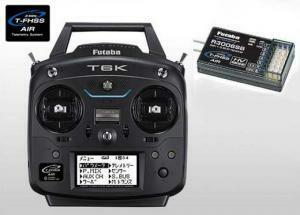 Currently, the FrSky X-Lite is operating off of nightly build firmware, and is using the FrSky Q X7 SD card contents. However, the micro USB does not have charging capabilities, meaning it will not charge your batteries while they are in the device. 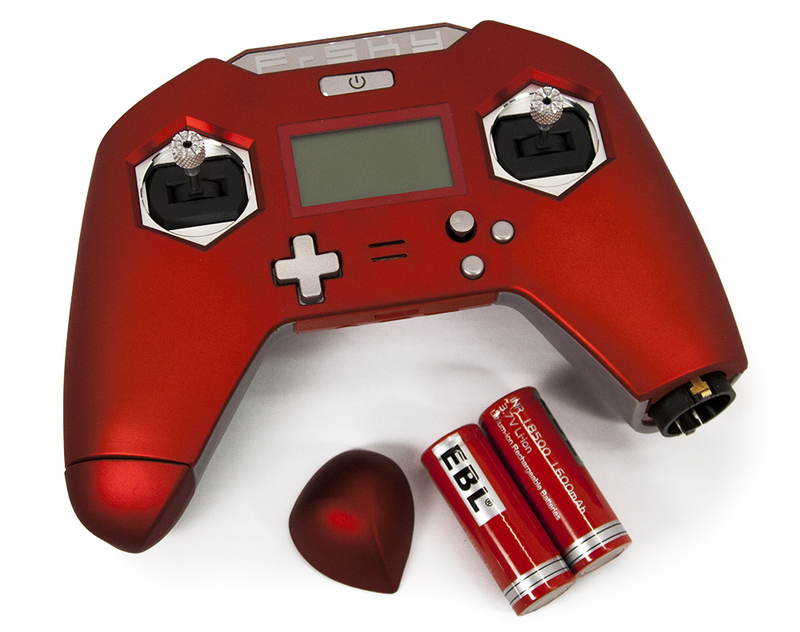 The FrSky X-Lite uses 18500 Li-ion batteries, and you will need a separate charger for this type of cell. Also, batteries do not come with the unit. To install the batteries, you simply twist of the caps at the ends of the handgrips and slide the batteries in. Positive side goes in first. 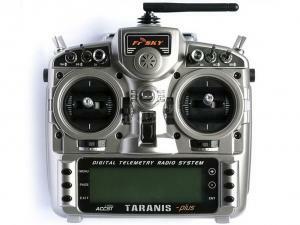 First off, binding the FrSKy X-Lite is just like binding with the Taranis. It’s super easy and worked flawlessly. To bind, go into the model setup, and move to the bottom of the page. There under Internal RF is a RxNum line, and to the right is a [Bnd] option. Select that, and select your channel settings, then the radio controller will begin to beep. From there, follow the instructions to bind your particular radio receiver. Flying with the FrSky X-Lite is enjoyable. It’s easy to hold, does not require a neck strap (which is good, because there is not a mounting point), and feels intuitive to use. The throw of the gimbals is much shorter than on the Taranis, which is obvious given their size. However, the gimbals are very accurate and were a pleasure. 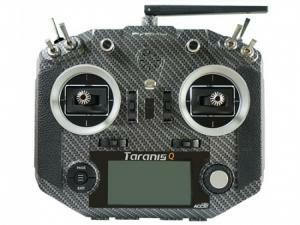 Also of note, there is no notching on the gimbals like there is from the factory on the Taranis. It’s as smooth and free flowing as you need it to be. I ran it with both my multirotor and wing just so I could get an idea of how both would fly. I also wanted to get a real world example of adjusting trims on the wing while in flight to see how easy or hard it was to adjust. Multirotor flight was perfectly fine; however, it took a few seconds to get used to the throws on the gimbals. Wing flight was as I expected it would be, trimming the airplane while in flight proved to be difficult and generally had to be done one or two notches at a time, especially since I had to hit the shift button while trimming. I found myself ascending to about four mistakes high before I felt comfortable with adjusting the trim. 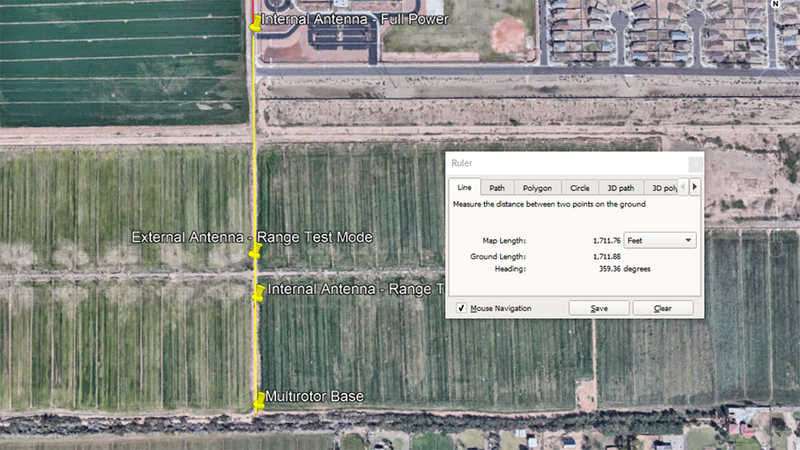 I conducted range tests in range test mode, which is 1/30th of the available power of the radio. 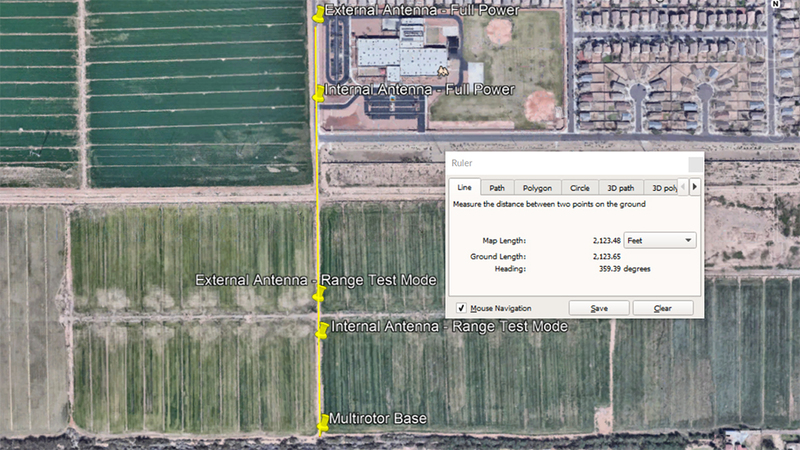 This test was conducted both with the internal and external antennas. Then I conducted range tests at the full operating power, again with both antennas. Both series of tests were conducted in an open environment with no obstructions of note. The quad was put on a camera tripod five feet off the ground and set at approximately a 45° angle as it would be during flight. 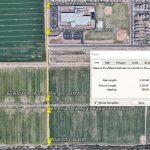 During the tests, it was 92° outside, 13% humidity, and an extremely clear day here in Arizona. 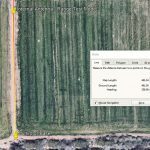 I used GPS to locate both the quad location, as well as the endpoints. The range test modes were stopped at an RSSI of 10, right before the failure point. The full power tests were stopped at the first RSSI low notification from the radio. 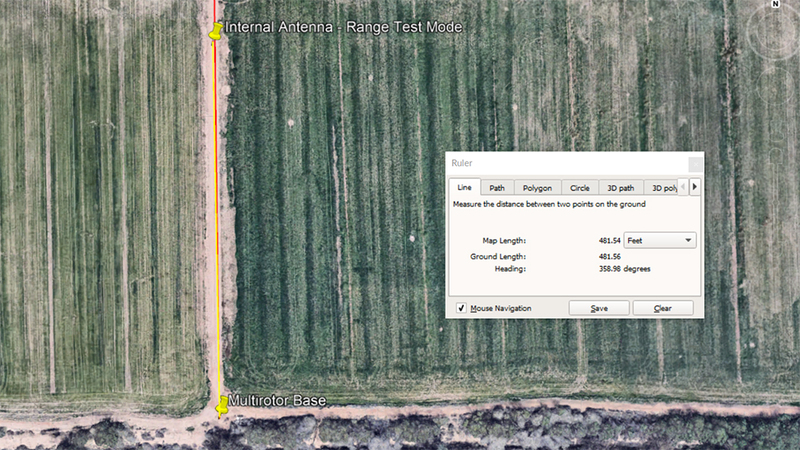 In this test, I was able to take the radio 481 feet when I got to an RSSI of 10. This equates to approximately 146 meters. 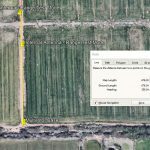 In this test, I was able to take the radio 676 feet when I got to an RSSI of 10. This equates to approximately 206 meters. 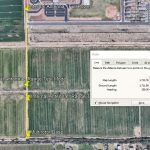 In this test, I was able to take the radio 1711 feet when I got the RSSI low notification. This equates to approximately 521 meters. 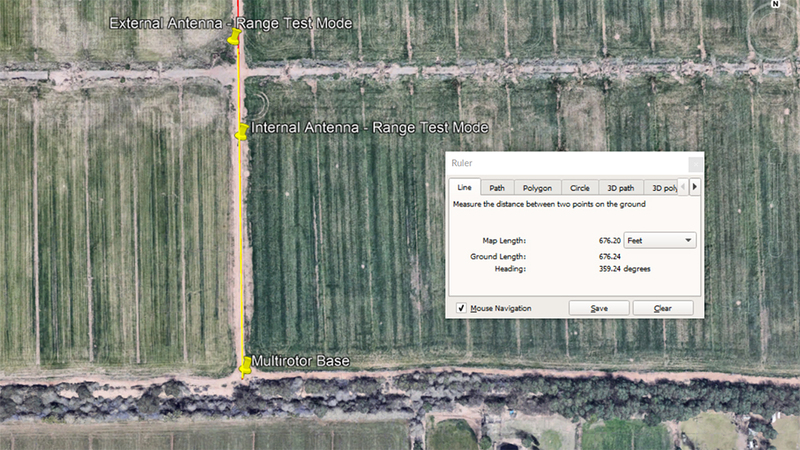 In this test, I was able to take the radio 2123 feet when I got the RSSI low notification. This equates to approximately 647 meters. My complaint is that the trim function is a little hard to manage while in flight due to the awkward nature of having to totally take both hands off the controls. Is it a deal breaker? No, especially if you are flying primarily multirotors. There is also the module bay that is a special form factor, which makes modules hard to come by. As of right now, there is just the R9M Lite that has been fully realized. 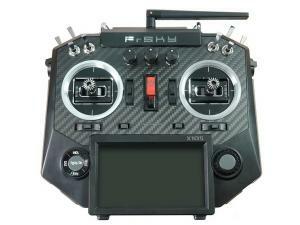 Team Blacksheep has also stated that their Crossfire system will not be adapted to the FrSky X-Lite. To be perfectly honest, I did not expect the FrSky X-Lite to perform as well as it did. The range was amazing, the form factor was nice, and the portability is great. I was thinking that it would be good for micro multirotors and that’s about it. But to be honest, I was pleasantly surprised. Even with just the internal antenna, this radio controller has some serious range to it. Oh, and it works wonderfully with simulators as well. 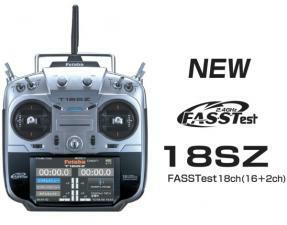 The FrSky X-Lite is a radio controller that I can really see using going forward. I will always love my Taranis X9D+, but now it will have to share room in heart with it’s baby brother, the X-Lite. With all the options and functionality of a much larger system, you can’t beat this opening price point radio controller, especially if you are just getting into the hobby.